Finally some astro-shots. After a long time-out period, I’m back at imaging and processing. 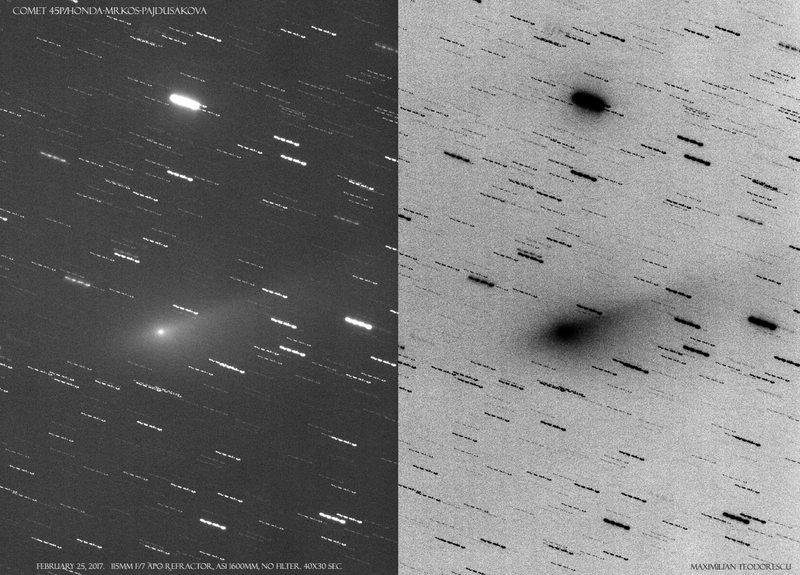 Still a lot to process, but for now I’m posting my latest result: comet 45P/Honda-Mrkos-Pajdusakova departing Earth’s vicinity. 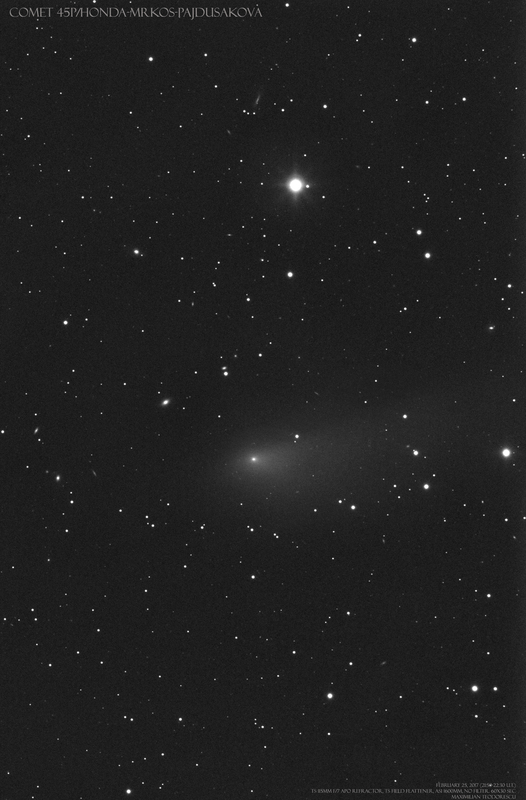 The above shot was processed to show both the galaxy-rich background and the comet. There are quite a few small galaxies around the field.